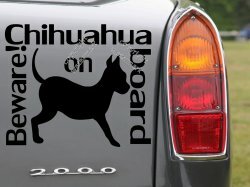 Chihuahua on board. 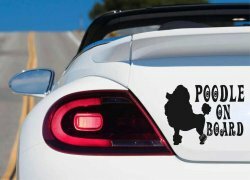 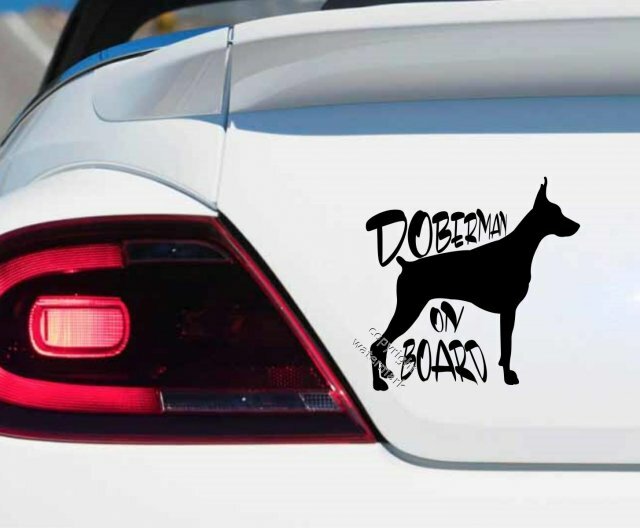 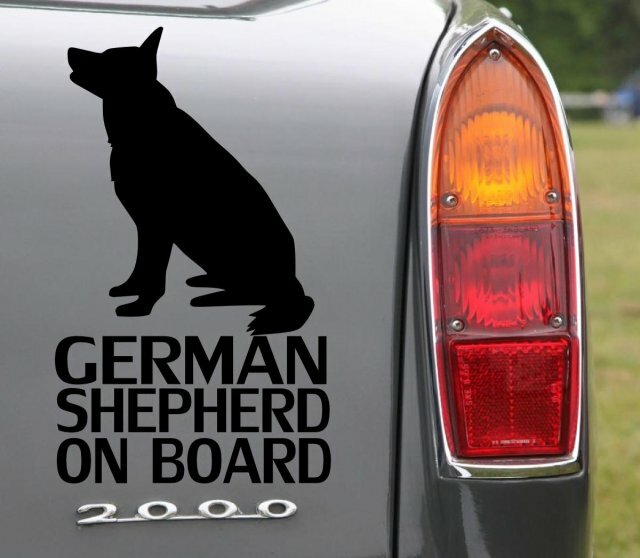 Stunning dog lover's car sticker, bumper decal. 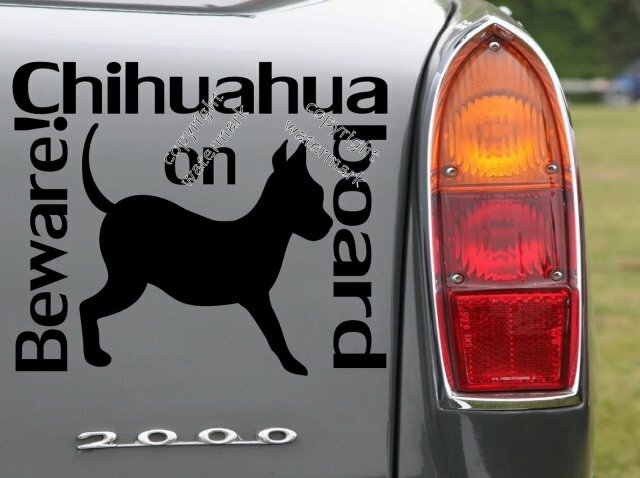 Your fiesty pet will appreciate putting its safety first with this vinyl sticker. 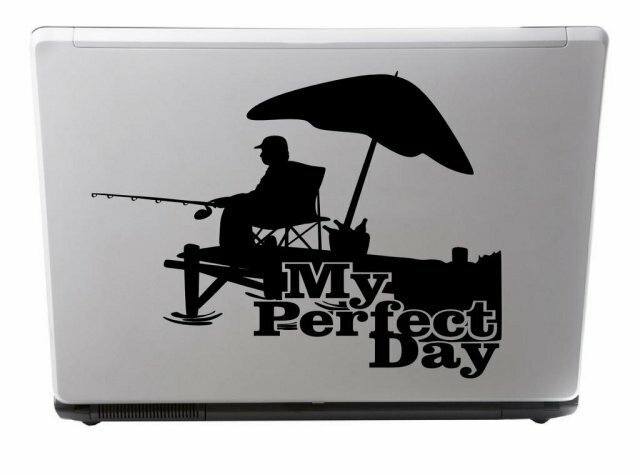 Beautifully crafted transfer is easily noticed. Unlike traditional hang up car signs this will not move its place. 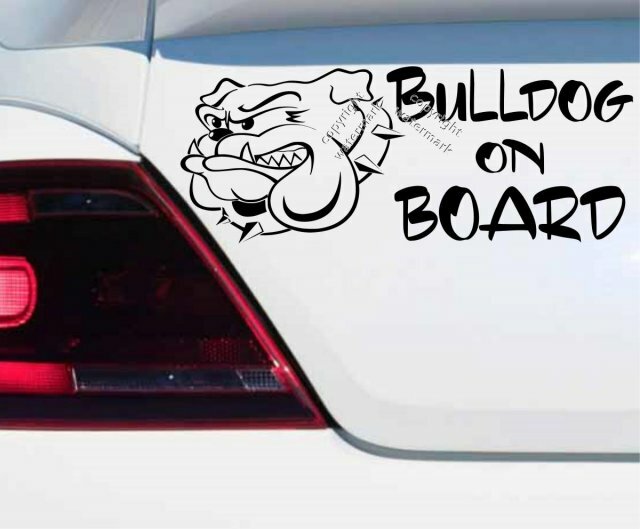 High quality vinyl assures its durability withstanding rain and shine. 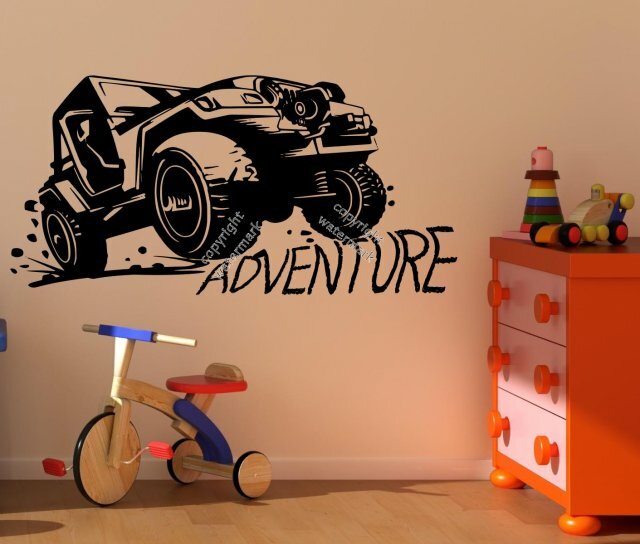 All smooth surfaces suitable indoors and outdoors. 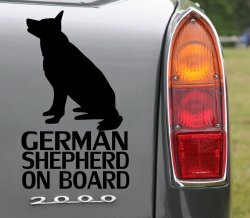 A must have for all German Shepherd who take their pet with them in a car! 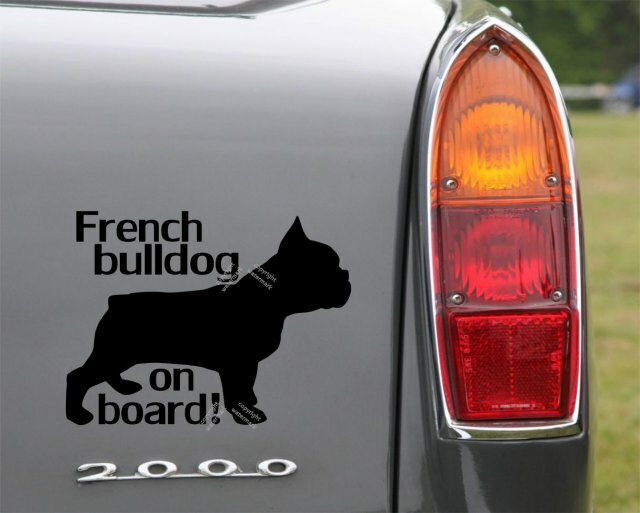 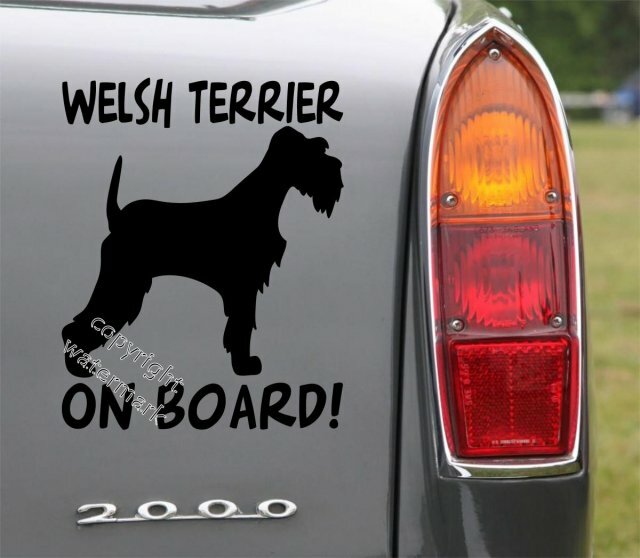 Honour your furry friend, personalise your vehicle easily with this professional grade sticker. 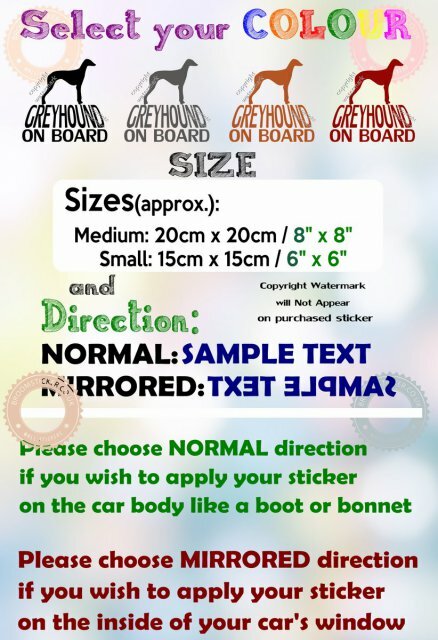 Clear message vinyl sticker is the ideal safety measure for all doggy travels. 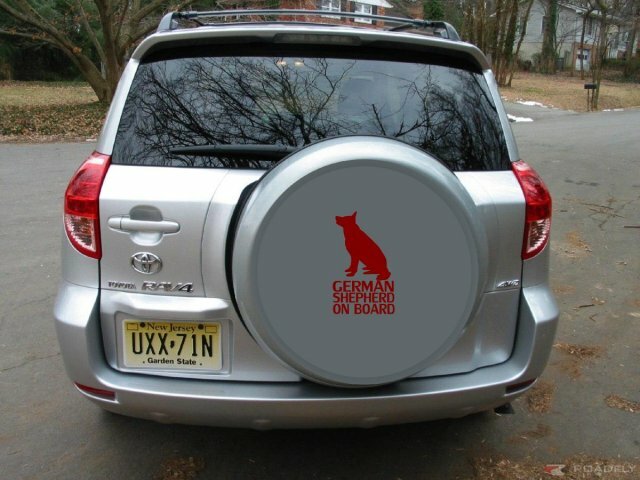 This design is made from a hardwearing and wearherproof material perfect to go anywhere smooth on a car. 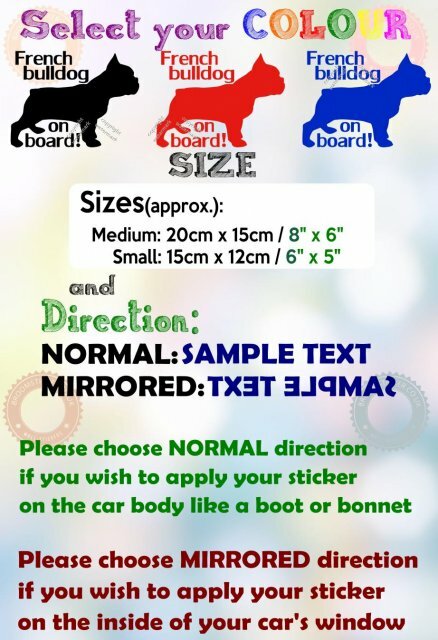 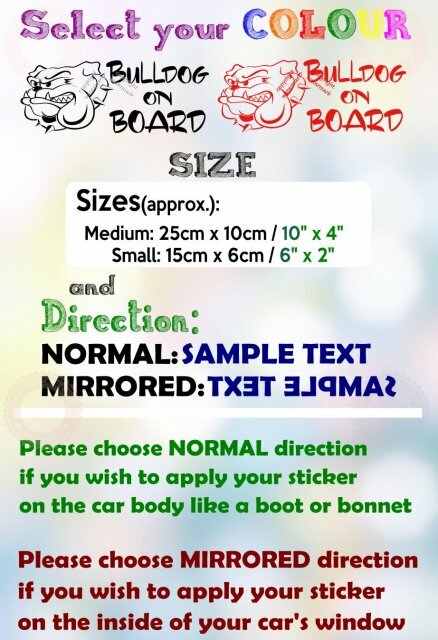 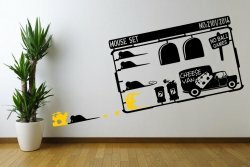 You may use it as both car or wall sticker. 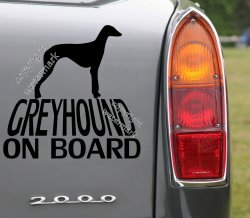 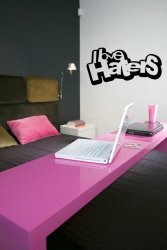 You will love this vinyl sticker once applied! 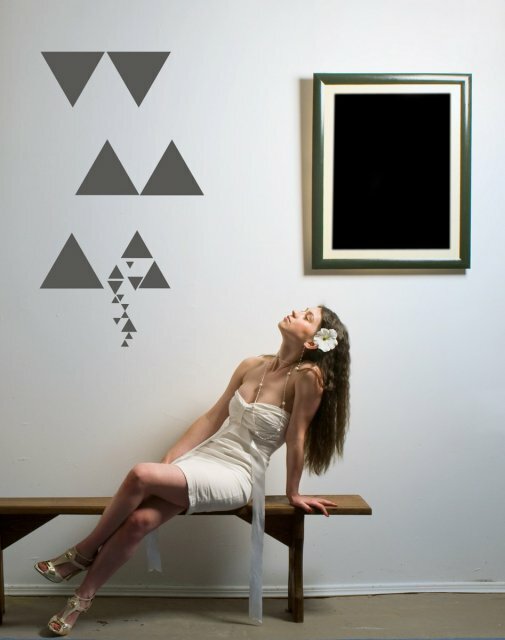 This design is almost giving you options to break off pieces and arrange them together your way. 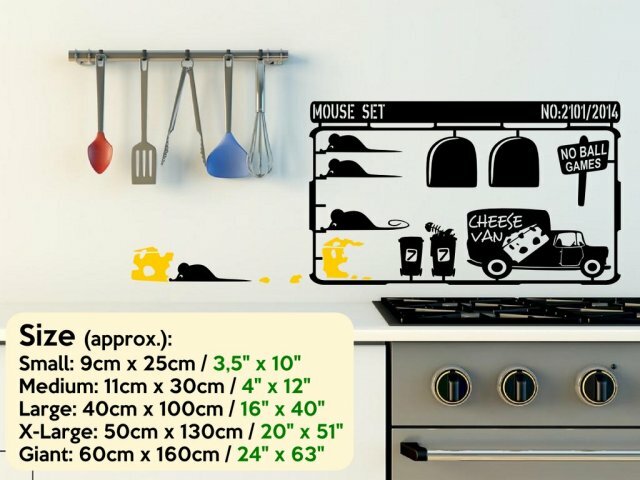 Clever thought through decal speaks out from the surface and creates an usual centre pieces whether in smaller sizes or in giant 60cm by 160cm! 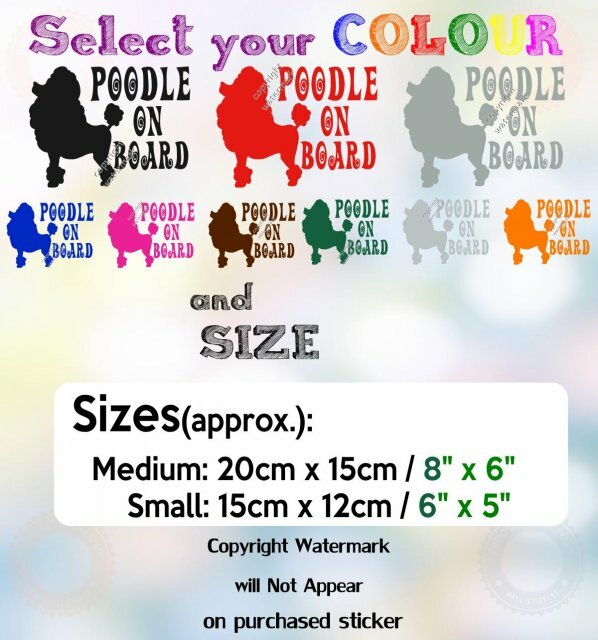 Great tool to personalise your belongings or put your stamp on your home, ideal for rented accommodation as it can be removed without leaving a trace with our instructions. 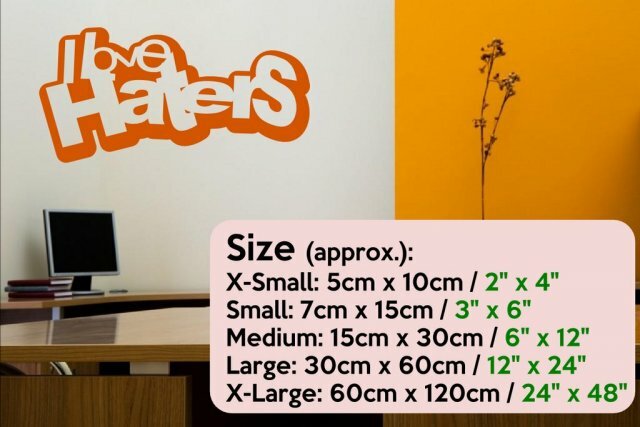 Choose your size and colours and enjoy your own designer vinyl sticker. Impressive designs look so realistic, as if moving. 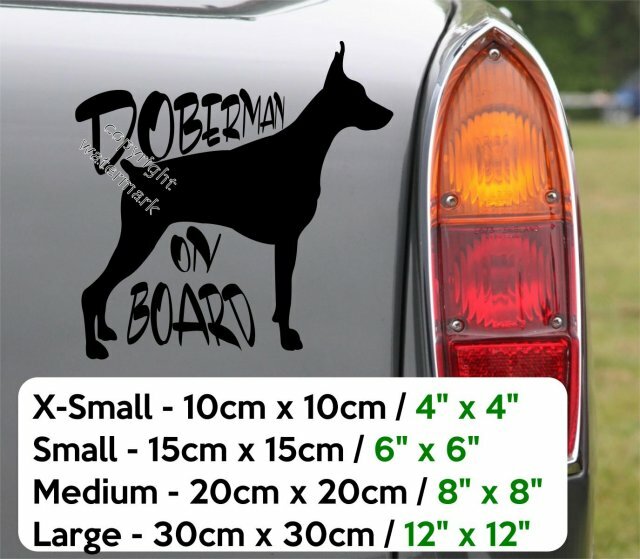 Vinyl sticker to go on anything from your home gadgets, wall decor to personalising your car, boat or caravan. 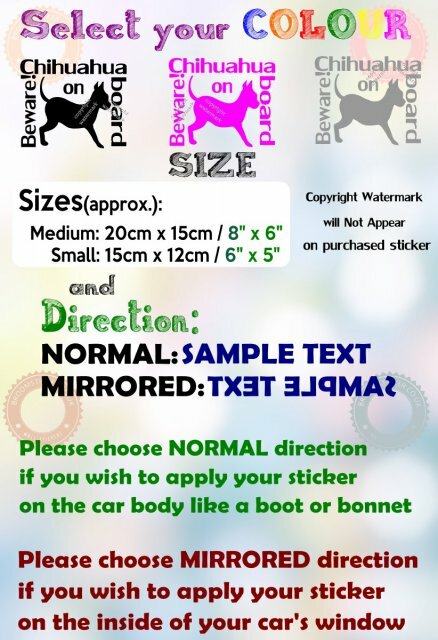 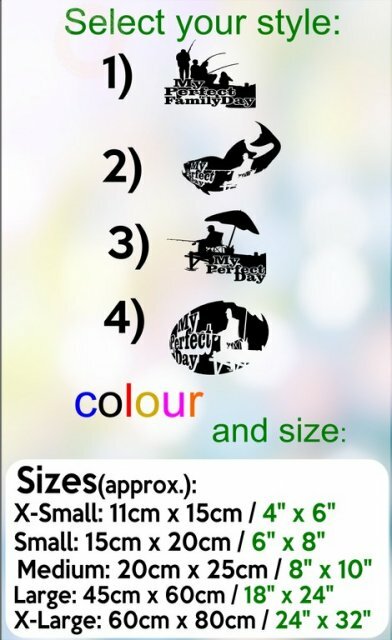 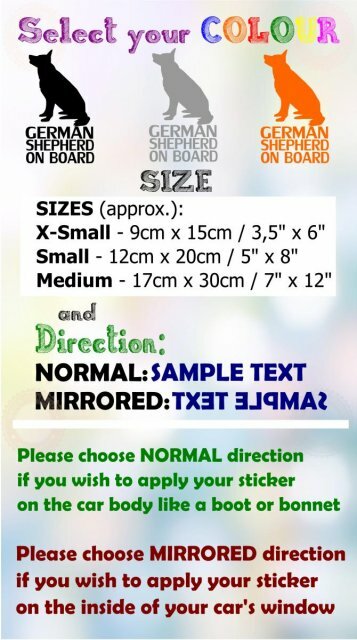 Feel like a designer yourself and create your own sticker by choosing the desired image. 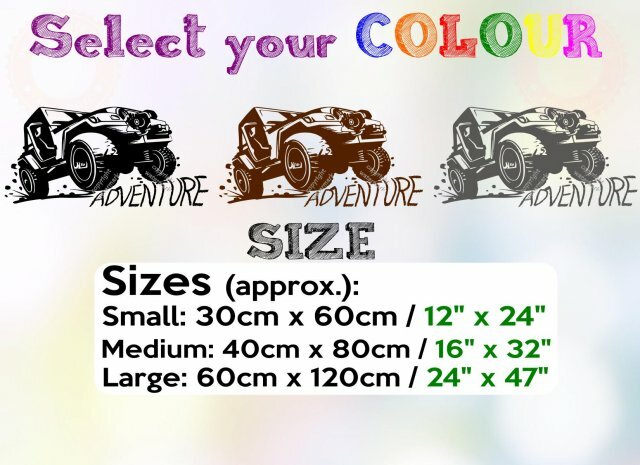 Add colour and select your preferred size. 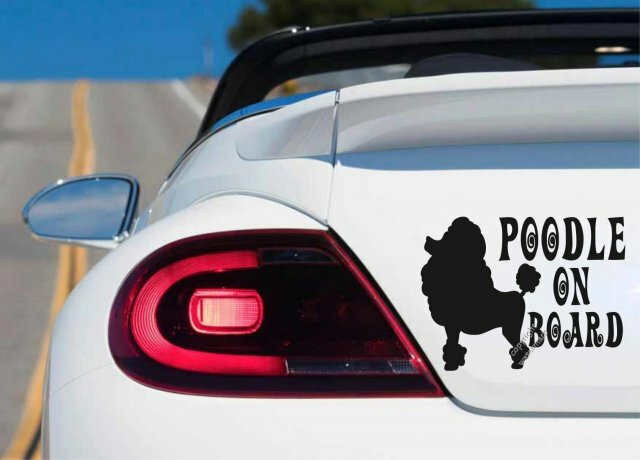 Great fu, great gift idea too. 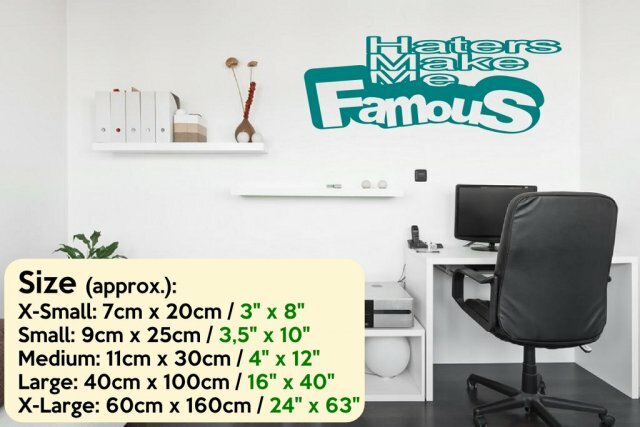 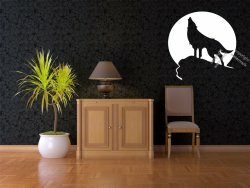 Fun, versatile vinyl sticker to go on anything from your laptop through your living room walls to a car or a van thanks to the choice of five different sizes. 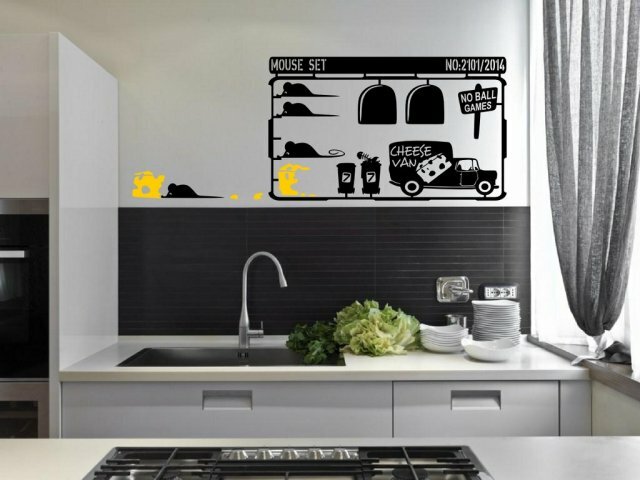 Clever design looks multidimensional adding interesting depth to the surface it is applied on. 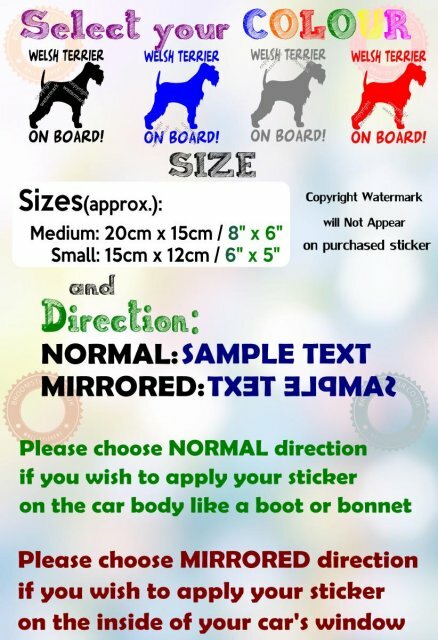 Easy way to personalise your gadgets, a car or maybe a boat. 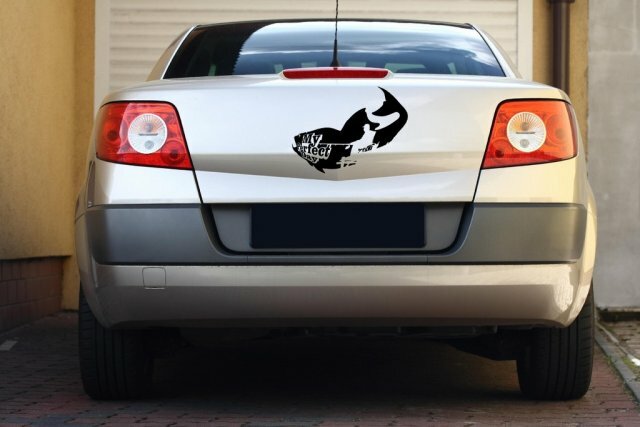 Fully weatherproof features of this decal will not disappoint. We have a fabulous range of colours available for this design. 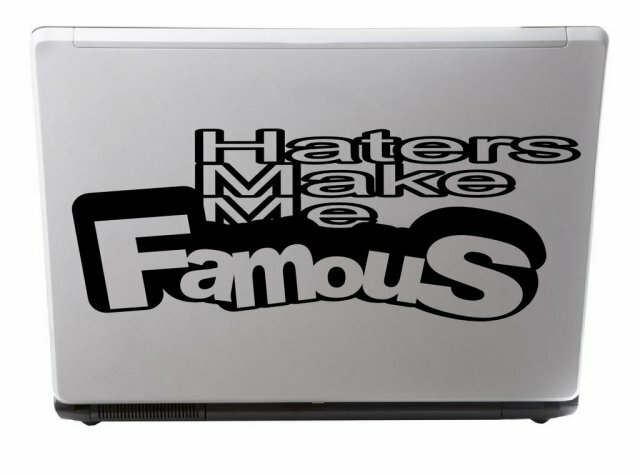 Mock criticism with our original vinyl sticker. 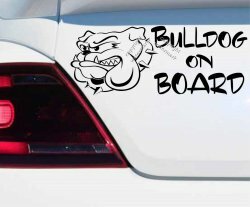 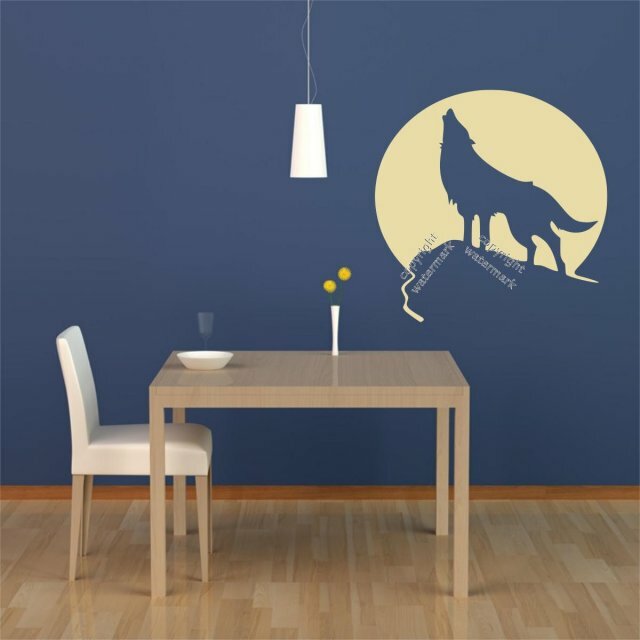 Apply just about anywhere smooth and flat, indoors or outdoors this decal is an eye catching addition to home appliances, gadgets, cars, boats and many more. 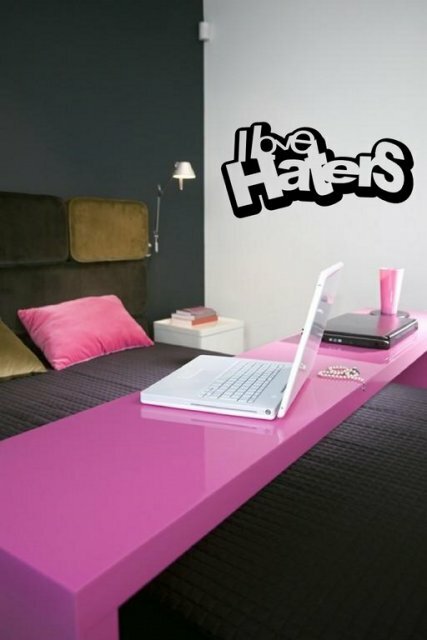 Fabulous way to put your own stamp on your belongings and express your mind. 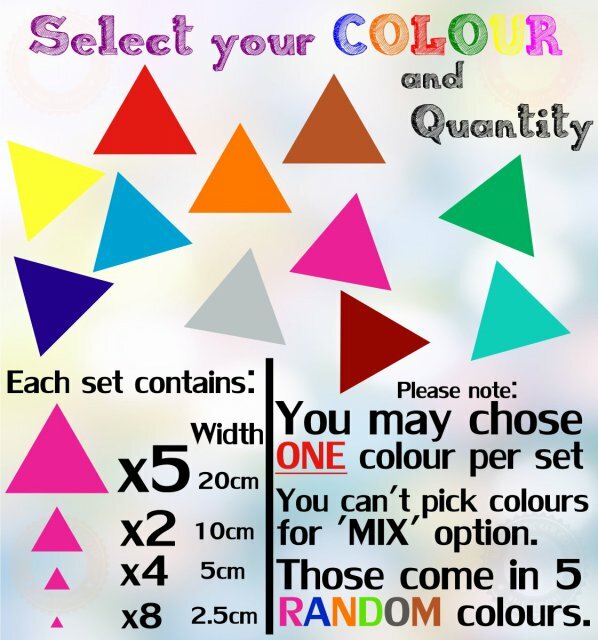 Choose any colour from our palette for this design and enjoy this easy decorating tool. 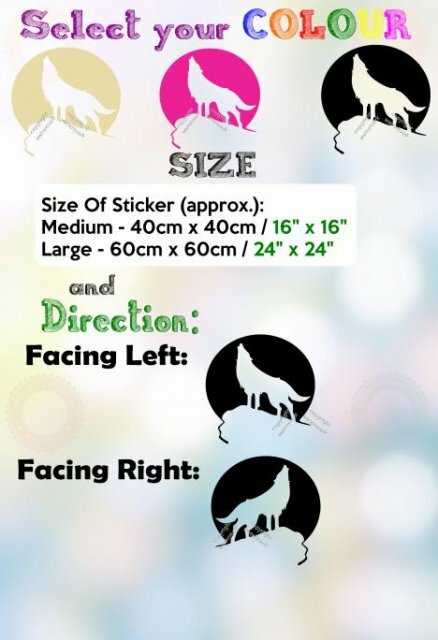 We have give different sizes available for this sticker.